If you haven’t heard of Hardy yet, you’ve definitely heard songs he’s written, like “Up Down” and “Call Your Mama.” Plus, you’ve probably seen him in a couple of Morgan Wallen’s videos too. Meet Flux Capacitor - a band with a fiery, distinct sound has catapulted the group with lightning speed onto the national music scene. Flux is a dedicated family group that believes in music, joy and consciousness. With these principles in the forefront, Flux Capacitor is on the move - giving killer performances and creating ecstatic dance floors at every show. Check out Guitar Prodigy Tina S! Rock is dead they say? Well then, you haven't heard of Mundo's Crazy Circus. With their vintage and refreshing rock vibe, you will be hooked! With powerful vocals and a tight rhythm section that's laced with unadulterated guitar, Mundo's Crazy Circus creates a psychedelic euphoria and leaves their audiences wanting more. Straight from the streets of Boston, Mundo's Crazy Circus is a blues based rock & roll band with a psychedelic classic rock vibe. Rockin' the T-Shirt! Who wants 1! Not only is Mike a great teacher but a friggin Rock Star! 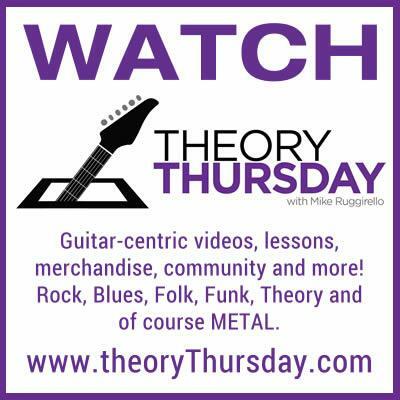 Catch him every Thursday night with Theory Thursday, on his website theorythursday.com and around town with his band Fusebox!